The FADER presents ‘Right Here Is Home’, a new documentary about rapper and producer JPEGMAFIA. 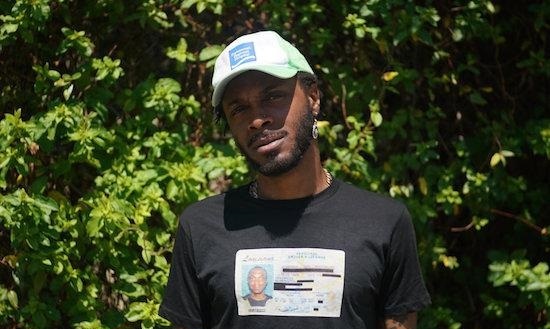 The documentary displays JPEGMAFIA visiting the Bell Foundry in Baltimore, which was one of the first places where he connected with a creative community. He also explains how the city’s collective fight against police brutality helped foster his early forays into music. In ‘Right Here Is Home’, we also see him warming up backstage before a show, doing voice exercises, and then releasing his energy in a destructive live performance at Baltimore’s Metro Gallery. Watch the documentary below. JPEGMAFIA performs at Le Guess Who? 2018 together with a.o. Sons of Kemet XL, Saul Williams & King Britt present ‘Unanimous Goldmine’, Kojey Radical, Serpentwithfeet, 700 Bliss, DJ Haram, Kelman Duran, AMMAR 808, Emel Mathlouthi, and many more.